Established in 1942, Fort Carson is a US Army installation constructed right after the Pearl Harbor attacks perpetuated by Japan. As an effort to help end the war, the Colorado Springs local government purchased the estate and donated the land to the War Department. After the acquisition, construction started immediately. The camp headquarters, which is the first building to be constructed, was completed on January 31, 1942. The military installation was named Fort Carson in honor of General Christopher Carson. Carson who, during the 1800s, led highly successful explorations in the American West, attained legendary status as an Army scout. The construction of the fort was definitely a Herculean task. To complete the construction of various projects essential to the efficiency of the camp, the military employed approximately 11,500 workers. A huge number of facilities necessary for the completion of the construction projection were provided. These accounted for 592 nurses, 1,818 officers, and 35,173 enlisted men. The design of the buildings was basically based on mobilization type construction type. The edifices were also built with wooden sided exteriors. The medical structures, on the other hand, were made of concrete block of the semi-permanent construction type. The hospitals also had an expansion capability of approximately 2,000 beds and a space capable of 1,726 cots. The first major unit to be fully activated at Fort Carson was the 89th Infantry Division. Over 100, 000 volunteers were trained at the camp during the height of the Second World War. In the course of the war, a total of 125 units were activated at the camp. These include the 10th, 71st, and the 104th Mountain infantry divisions. More than a hundred units from other military installations to the Mountain post. Aside from its official function as a training ground and defense installation for the US military, Fort Carson also became home to prisoners of war numbering up to 9,000 people. The Axis prisoners were mostly Germans and Italians. The internment camp at Fort Carson officially opened on January 1, 1943. To compensate for the lack of necessary man power in Colorado during the war, the US military employed POWs to do various jobs such as canning tomatoes, aiding logging operations, cutting corn, and an assortment of farm works essential to keep the economy of the state running amidst the outbreak of the Second World War. The transportation of weapons, ammunitions, &nbsp;and various military supplies and equipment over the mountainous Colorado terrain was of utmost importance. As shipments began arriving from the state of Nebraska &nbsp;during the first quarter of 1942, the need to efficiently transfer the supplies became an immediate concern. To carry on these tasks, the military employed mules for the job. Pack of mules became efficient allies in transferring not only military supplies but also Army officers to certain locations. One of the most famous animals in the US Army history was a mule named Hambone. Regarded as 4th Field Artillerys pride, Hambone carried military officers up the mountainous Ute Pass terrains to Camp Hale for 13 long years. Hambone perished in March 1971. The mule was buried and received full military honors. Fort Carson history is never complete without mentioning the heroic acts of this noble animal. Officially, the camp became Fort Carson in 1954. Mechanized units were soon assigned to the Mountain Army installation. During this particular time, additional land was acquired to help augment the space necessary for training purposes. This resulted to the size of Fort Carson as it was known today. Its current land area is 140,000 acres. As Fort Carson expanded, greater areas of land were purchased by the military to support the needs of nine Army divisions. In September 1983, 237,000 acres of additional land area was purchased. Pinon Canyon Maneuver Site, as this land area is now officially called, is situated a hundred miles to Colorados southeast. The area was intended for colossal force-on-force maneuver military training. Apart from this, live fire training as well as comprehensive maneuver training also regularly occurs at this area. Since its establishment, soldiers assigned at Fort Carson have been known to support many kinds of community causes and events throughout the state of Colorado. Among various activities that were facilitated by the Army are search and rescue operation trainings, firefighting missions, and an assortment of crucial emergency operations. As a matter of fact, 24 cities in the state established formal ties to units assigned at Fort Carson. The Mountain Post also supports more than 300 community events which includes concerts, fairs, and parades. 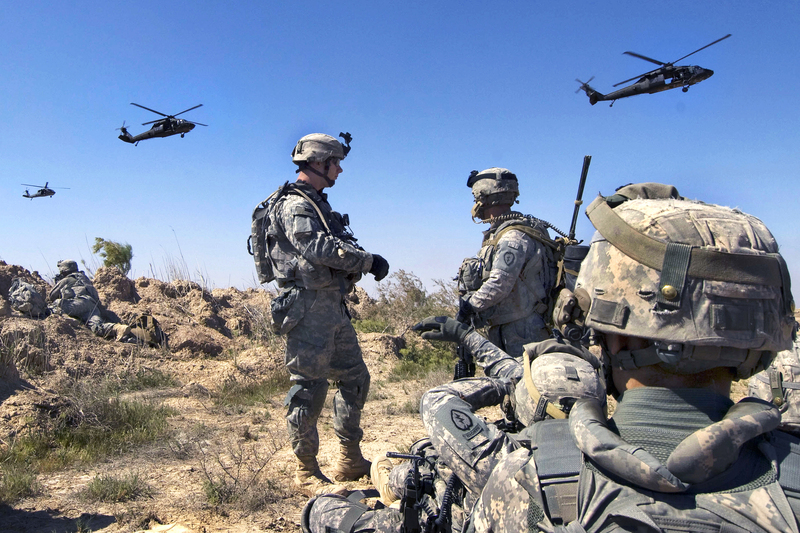 Basically, the mission of Fort Carson military administration is to provide Army units adequate mission support as well as the best services. These include superior quality of life programs for volunteers, families of soldiers, and the community. The aim is to make the armed force more than capable of executing expeditionary operations with less stress on the part of the soldiers and their families during escalated conflict. The Vision of Fort Carson garrison team, on the other hand is to consistently become a service-focused and the best professional team dedicated in providing sustainable community service, hometown management, and mission readiness. With its proud and consistent history of providing excellent support to the call of arms of the nation, Fort Carson has a five-decade long legacy of offering the best service to the community and the country as a whole.